This pure Sandalwood and Jojoba oil blend is ideal for use in your oil burner to create a soft lingering Sandalwood aroma and to promote focus, stress relief and relaxation in your home or work place. Sandalwood has been used for thousands of years in traditional Chinese, Ayurvedic and Australian Aboriginal medicine, renowned for its relaxant properties. This pure Australian Sandalwood and Jojoba oil blend is ideal for use in your oil burner to create a soft lingering Sandalwood aroma and to promote focus, stress relief and relaxation in your home or work place. 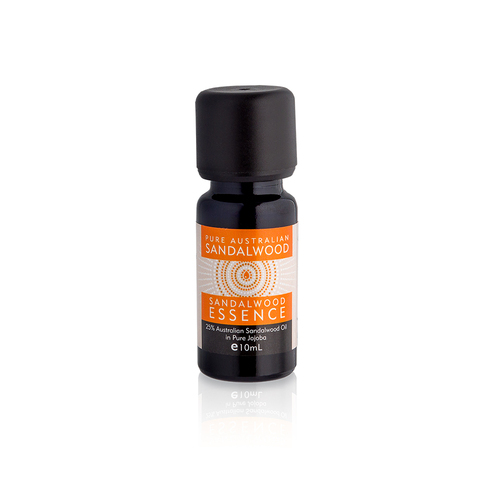 This Sandalwood Essence has a robust pure Australian Sandalwood oil aroma. Ideal for use on Wood Art and bead jewellery to maintain scent over time; creating a soft lingering fragrance.